Physical therapists assist in early detection of health problems and use a wide variety of modalities to treat disorders in the pediatric population. They are specialized in the diagnosis, treatment and management of infants, children and adolescents with a variety of congenital, developmental, neuromuscular, skeletal, or acquired disorders/diseases. 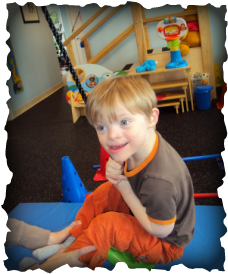 Treatments focus on improving gross and fine motor skills, balance and coordination, strength and endurance, as well as cognitive and sensory processing/integration. The minimum education required for Physical Therapists is a masters level degree with most programs transitioning to a doctoral program. The curriculum consists of, but is not limited to, the following courses: Gross Anatomy, Neuroanatmoy, Musculoskeltal Analysis and Treatment, Pharmacology, Development Across the Lifespan, Modalities, Wound Care, Orthopedics, Orthotics and Prosthetics, and Neurodevelopmental Therories and Treatment Across the Lifespan. Physical therapists are required to complete a series of rotations that encompass all the specialties in their field. This provides a global understanding of medical conditions and other health related issues that limit function and ability in individuals of all ages. 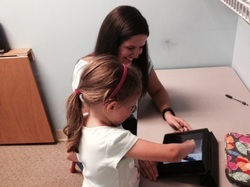 Pediatric physical therapists specialize in working with children from birth to age 21. Pediatric P.T. 's take additional specialized course work (classes) that focus on pediatric diagnoses and treatment, along with a pediatric rotation prior to graduation. Following graduation from a masters or doctoral program, physical therapists are required to take a state licensing exam prior to practicing in their related field. Occupational therapists are trained to assist children in developing the skills necessary to become functional. These skills include regulation of arousal level in order to attend, refinement of sensory discrimination and processing, continual refinement and development of motor skills, development of communication skills, appropriate social interactions, language and cognitive skills, age appropriate self-care skills, and self-concept. The American Occupational Therapy Association defines occupational therapy as, "a skilled treatment that helps individuals achieve independence in all facets of life." Occupational therapy is considered an allied health profession. Coursework includes, but is not limited to: Gross Anatomy, Neuroanatomy, and training in Biological, Physical, Medical, and Behavioral sciences. Occupational therapists complete fieldwork that allows them to work hands on with a variety of diagnoses and specialties prior to graduating. O.T. 's specialize in areas of clinical work that include pediatrics, geriatrics, mental health, and orthopedics. Pediatric O.T. 's work specifically with children from birth to age 21 in various settings. O.T. 's are required to take a state licensing exam prior to practicing in their related field. Speech language pathologists (SLPs) are trained to assess, diagnose, treat, and help prevent disorders related to speech, language, cognitive-communication, voice, swallowing, and fluency. Treatment focuses on improving speech, language, and/or swallowing function to maximize a child’s potential. A master’s degree in speech-language pathology is required and SLPs need state licensure and professional credentialing from the American Speech-Language-Hearing Association in order to practice. SLPs develop an individual plan of care tailored to each client’s needs. A variety of skilled techniques are used to improve expressive and receptive language. They also teach individuals how to strengthen oral musculature for both speech and swallowing. Speech course work includes anatomy, physiology, the development of areas of the body involved in speech, language, and swallowing, and the nature of disorders. Pediatric SLPs take additional specialized course work that focuses on pediatric diagnoses and treatment, along with completing a pediatric rotation prior to graduation. Continuing education is required as part of both state and national licensure. 1. Comprehensive Pediatric Dysphagia Programs: Several of our SLPs have completed continuing education and certification programs, including NOMAS, and mentorship programs, including an advanced training program with UNC’s multidisciplinary feeding and swallowing team. The Neonatal Oral-Motor Assessment Scale (NOMAS) is a specialized evaluation tool for assessing the sucking patterns in preterm and term infants. It can be completed only by a trained, certified practitioner. Several of our team members have focused on the treatment of infants, toddlers, and school-aged children with feeding and swallowing disorders. 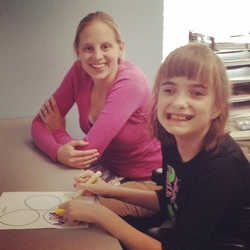 At Abilitations, we are fully equipped to address feeding and swallowing concerns across the continuum and lifespan including difficulties with choking while eating or drinking, spoon feeding, gagging with textures, transitioning to table foods, texture aversion, immature chewing, picky eating, and G-tube dependence. 2. Prompts for Restructuring Oral Muscular Phonetic Targets (PROMPT): PROMPT is a specific evaluation and treatment program provided only by a trained or certified therapist to retrain the motor speech system by utilizing tactile, kinesthetic on-line shaping of target phonemes (sounds) to improve the motor planning and provide the motor input needed to produce intelligible speech at the word, phrase, and sentence level. PROMPT has been shown to be effective at correcting errors with consonants and vowels. 3. Picture Exchange Communication System (PECS): PECS is a picture-based system for establishing and developing communication exchanges for children with autism spectrum disorders and developmental delays. PECS can only skillfully be implemented by a trained and/or certified therapist due to the specificity of the six phases involved to ensure mastery of the system.